These cluster diamond studs look like diamond solitaire earrings! 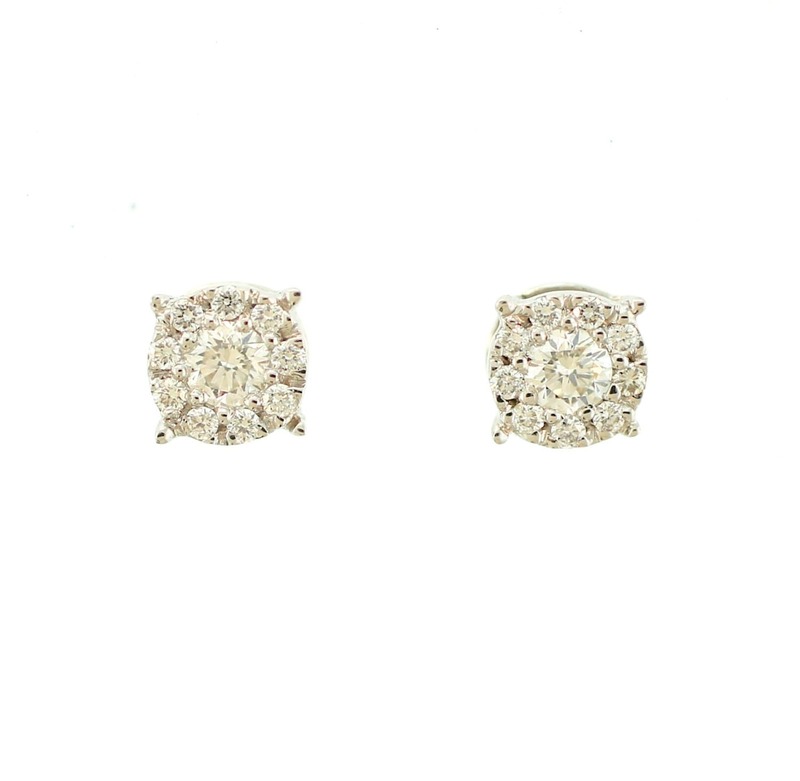 These substantial diamond earrings work for both daytime sophistication and cocktail party, nighttime glamour. The diamonds are VS 2 clarity and GH color diamonds.